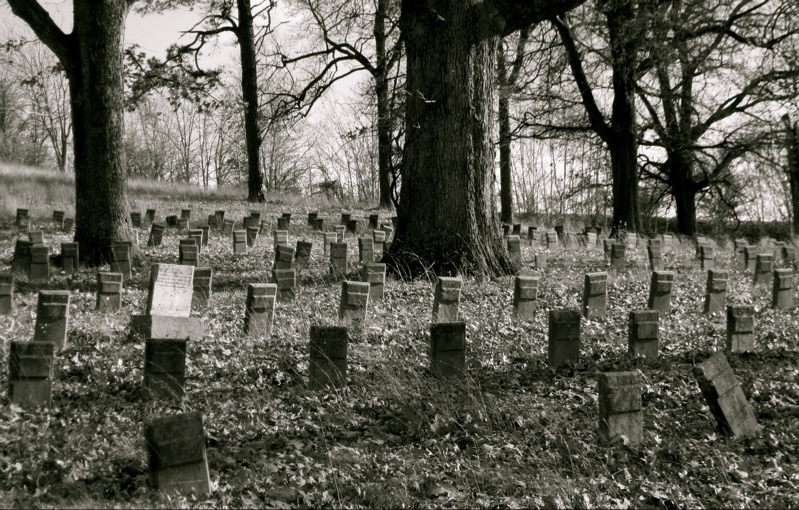 Shortly after my partner, Steve O’Keefe, and I moved to Staunton, Virginia, in May, 2010, we discovered an abandoned cemetery behind a campus of old institutional brick buildings that once served as a state prison. The graves, set in straight rows, are each marked with upright concrete slabs. Over time the headstones have assumed various angles of repose, and are textured with moss and erosion. Remarkably they carry no other distinguishing symbol–not a name, not a number. Recently I returned to the cemetery with my friend, Lisa Ayres, a Louisiana artist, and we photographed the site. 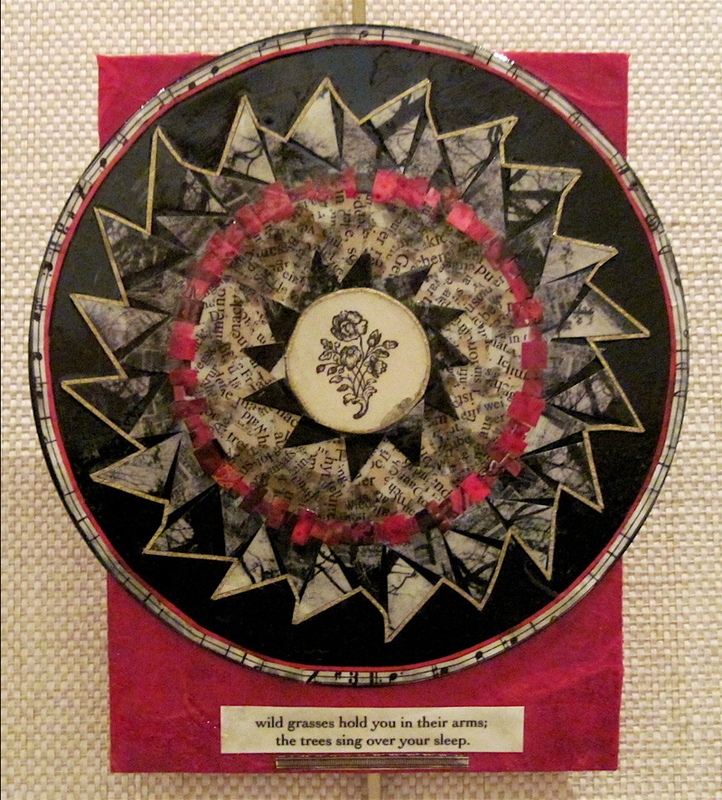 This small mandala, Benedictus, incorporates pieces of my photo of a section of the burial ground. The artwork embodies my consideration of human beings anonymously buried, as was Mozart, and the constancy of nature, in particular the trees standing over the forgotten ones in their rest. Photo of headstones taken November, 2010, Staunton, Virginia.